Let's play a fun word association game. The first one is Rihanna. If you're like us, you immediately think of the words "stunning," "inspiring," "talented," "bold," "cool," "confident," must we go on? From her music to her design collaborations to her Fenty Beauty drop earlier this season, it kind of seems like she's a real-life Wonder Woman who has never felt the dread of mortal pressure, doubt, or insecurity. According to Rihanna herself, though, that's not exactly true. She recently sat down with InStyle to talk all things style and beauty, and like always, she didn't disappoint. She opened up about her favorite makeup product of all time, the inspiration behind the Fenty Beauty line, and how she struggled to find a sense of confidence and independence. It's true—even RiRi didn't always feel like she had it all figured out. Keep reading to see our favorite revelations that Rihanna shared. 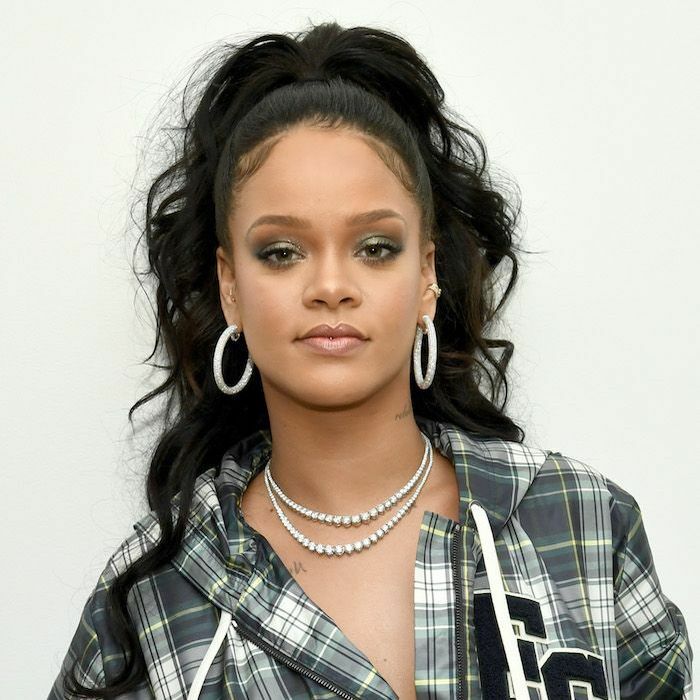 Rihanna says even though she knew she would love to have a beauty line one day, she didn't always have her life figured out. See? Celebs really are just like us. "I was very shy at one point. I knew what I was about and what I stood for, but I was not very vocal," Rihanna said. "In the Barbadian culture, there’s this thing we say: 'Speak when you’re spoken to.' It’s polite not to blabber. It took me a couple of years to come out of my shell." Now that she has come out of her shell (in the most epic way possible, might we add), she has advice for the rest of us. "The biggest mistake you can make is to compare yourself with someone else. I hate the pressure that’s being put on us by social media. Young girls don’t know which way to go; they’re still figuring themselves out. And what we’re teaching them through social media is this idea that you have to be perfect. I just reject that at every cost. I only know how to be me, and people thrive when they’re who they’re meant to be. I can only try my best to encourage girls and women to respect their uniqueness and be 100 percent true to themselves." Is it possible to love Rihanna even more than we already did? Somehow, yes. Her foray into beauty might seem ironic, considering that she wasn't allowed to wear makeup as a teen. "Lipstick in Barbados? Not unless I was a bridesmaid in a friend's wedding," Rihanna said. "My mom wasn’t flexible. I wore no makeup." Interestingly enough, though, she says it was this distance between her and makeup, along with her mom's influence (she used to work at a beauty counter at a department store) that fueled her passion for it. "That’s where my obsession for cosmetics and perfume came from," she said, "but I wasn’t allowed to wear makeup unless it was for a special occasion." The special occasion that changed everything came when she entered a pageant (who else is trying to picture teenage Rihanna parading around a stage pre-fame?). "When I was a teen back in Barbados, I was in a pageant, and my mom did my makeup for it. I will never forget the feeling I had after seeing how even my skin looked when she put foundation on my face." 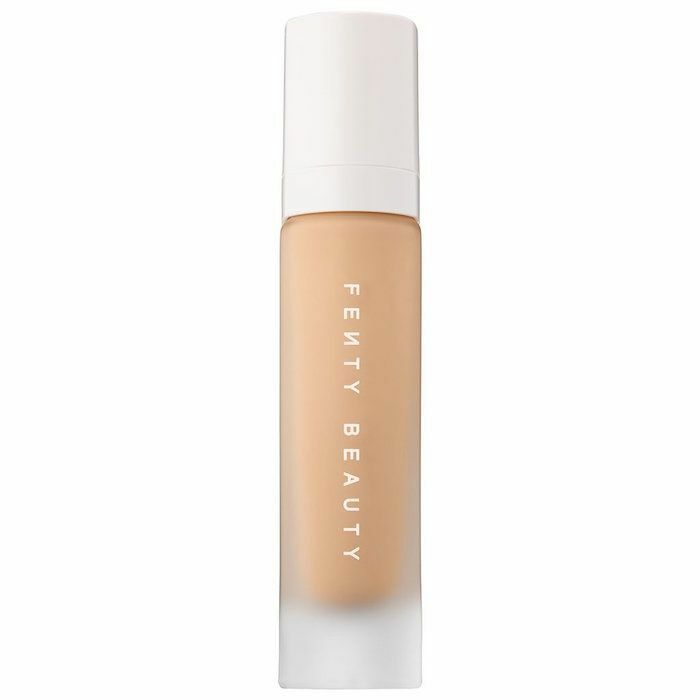 She admitted she loved the effect, which is probably why foundation was the very first cosmetic she set out to create through Fenty Beauty. Her love of foundation inspired her to create 40 shades in her own beauty line, so everyone could experience the confidence that comes with "really good skin." The darker shades, which are horribly underrepresented in the beauty industry, by the way, all sold out almost immediately. 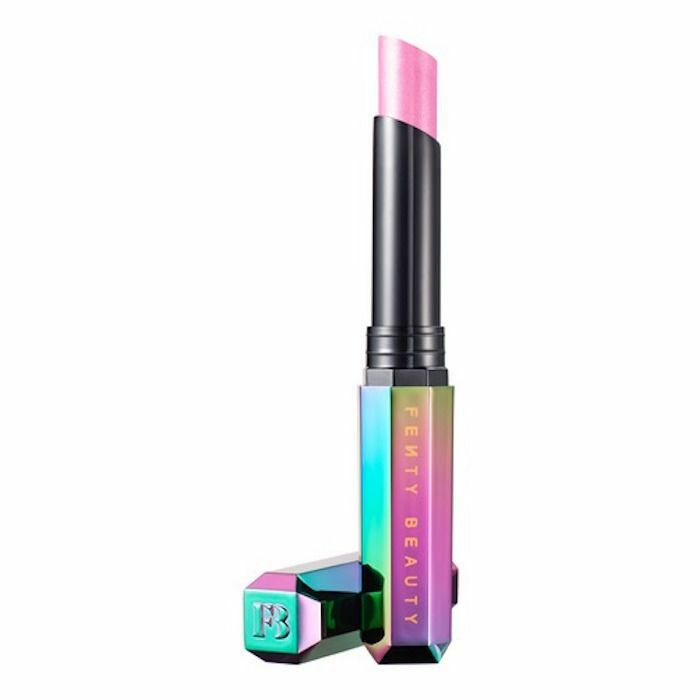 This proved the overwhelming need for more inclusive and diverse makeup products. "I wanted everyone to feel included," she said. It seems like she met her goal, no? Head over to InStyle to read the full interview. Then, get all the details on Kim Kardashian West's three new fragrances that launch next week.